TaurusEngage advises you on every aspect of your social media presence, what you should be doing, what works and what to steer clear of. If you are in business, whether you realise it or not your brand is being discussed, reviewed and communicated online through social networks 24/7. It’s better to be at the social media table than ‘not invited at all’ and we can show you how. We have global real-world customer examples to reference – examples that had a real effect on business – from individuals to NFP’s, B2B and B2C corporates and major ASX listed companies. Anyone who uses social media! The Taurus team was able to exceed Edwin’s expectations diversifying his media reach to include publications outside the music press. By the end of the 6-month PR project, GiggedIn had been featured in major consumer publications such as The Huffington Post and The Collective, tech/media publications such as Download This Show, start-up publications including Dynamic Business and mainline business publications such as The Daily Telegraph. 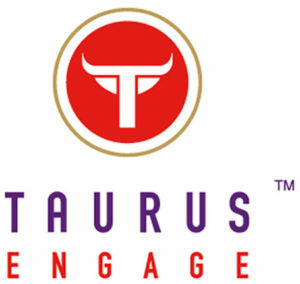 Ultimately, Taurus exposed GiggedIn to over 22 million people through a strategic PR push. Edwin had no hesitation in continuing with Taurus as his preferred PR agency and renewing his contract with the knowledge that the Taurus team would strive to smash his expectations out of the park. We cut through the hype and jargon and show you how to define an appropriate strategy and utilise social media tools to fulfil your business objectives. TaurusEngage™ helps you put a strategy and tactical plan around your social media monitoring, reputation management and engagement. As a leader, whether you realise it or not your personal brand is being discussed, reviewed and communicated online through social networks which means in this new decade, taking responsibility for your social media presence is a ‘must do’ rather than a ‘nice to have’. Social media enables your staff, prospects, customers, influencers and competitors to drive comment and access information about your brand anywhere, anytime, anyplace. So, as a leader, taking responsibility for your social media presence is vital to the overall image of your personal brand, your staff and your company. We believe it is better to be ‘at the table’ than ‘not invited at all’! We are so serious about this, we have pioneered TaurusSafeOnline© which is our purpose built employee social media policy. "Taurus looks at the whole spectrum of marketing across the business and comes up with ideas outside the usual PR boundaries. You don’t get this from a pure PR agency, and it’s certainly not common in the US." "Taurus worked with us on a broad range of projects including brochures and collateral, research and development of corporate case studies, copywriting and PR. Their PR expertise keeps the KAZ name at the forefront of business news. The tailored approach they use to put out a press release means we get excellent results time after time. The Taurus team are highly experienced with extensive industry knowledge and are a delight to work with." "Taurus work with us on a broad range of projects including brochures and collateral, research and development of corporate case studies, copywriting and PR. Their PR expertise keeps the KAZ name at the forefront of business news. The tailored approach they use to put out a press release means we get excellent coverage time after time. The Taurus team are highly experienced with extensive industry knowledge and are a delight to work with."